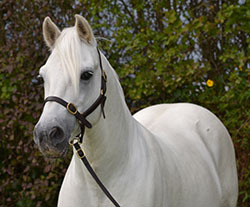 Linsfort Barney, a successful stallion in showing himself and sire of show connemaras, by Kingstown Boy, 2017 Danish Connemara champion at 24 years old, the sire of JA performance pony Inverin Bobby, out of a mare by Canal Cormac, a direct son of the prolific performance producing stallion Thunderbolt. Oisin is the full brother to the dam of Irish pony grade A showjumper Kingstown Cavalier. He is the producer of the 128cm grade A, A little fairplay and the dam sire of top 1.2m competing pony grade A’s Hurricane Sparticus and Myshall Man. 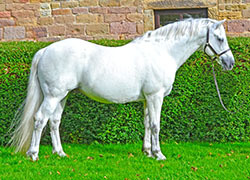 Condor has many results in the showring, most noticeably remembered for his tremendous win of the Stallion class at the Prestigious Clifden Show, the most sought after accolade for a Connemara in its native origin. When presented for stallion grading in Ireland he achieved top marks overall with 10/10 for type and was described as a exceptional pony by his graders. He obtained his SPSS license in 2017 after being broken to ride as an 8 year old, with his jumping ability and adjustability being highly noted, he will pursue a career under saddle amongst his stud duties. 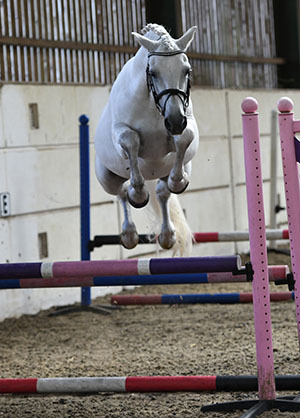 Condor’s progeny are outstanding quality, showing undoubtable promise as performance ponies and show horses. He has an approved stallion son amongst his first crop of offspring. He is free from the Hazy Dawn line in his pedigree.